Young Guns Extend Contracts BulldogsTV speak to Toby McLean, Josh Prudden and Caleb Daniel, who have extended their contracts with the Western Bulldogs. Caleb Daniel has signed a contract extension along with Toby McLean and Josh Prudden. 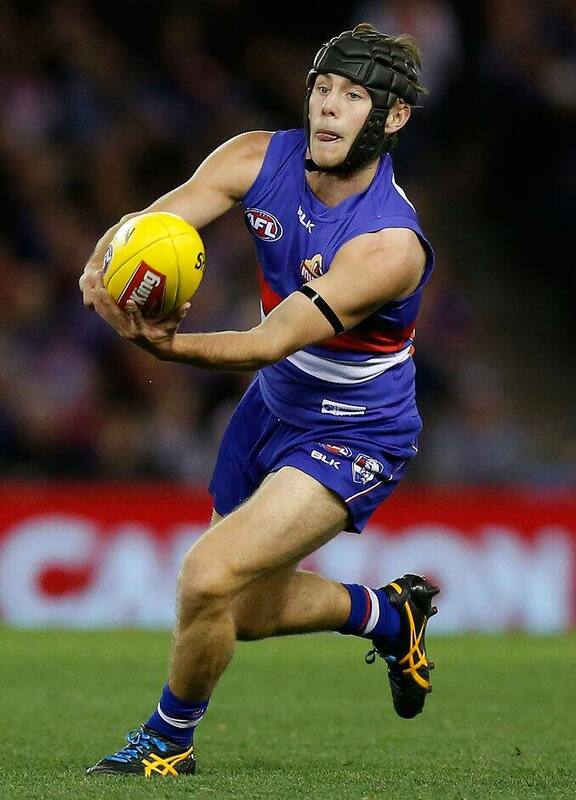 The Western Bulldogs have secured three talented young players, with Josh Prudden, Caleb Daniel and Toby McLean putting pen to paper on new contracts this week. The trio contributed to the Club’s tally of eight debutants in 2015 and have displayed promising signs early in their careers. Daniel and McLean both joined the Club in the 2014 AFL Draft, with McLean debuting in round 10 against Port Adelaide and Daniel round 14 against Carlton. The pair have signed one-year extensions, keeping them at the Club until the end of 2017, beyond their existing two-year draftee contracts. McLean said the extension was a continuation of a promising first season, and he was grateful for the chance to play his role. “It’s really exciting, I’ve had a really good first year and I can’t wait to play again. Daniel said he looked forward to continuing with the Club’s young group, after the re-signings of several other young stars throughout the year. “It’s definitely a pretty exciting time to be around the Club, playing finals and the development of the boys this year and hopefully beyond is pretty exciting. Prudden, who joined the Club with the 50th pick in the 2012 AFL Draft, made his AFL debut in round 15 and impressed with his attack on the ball, neat skills and selfless team play. The 21-year-old has signed a one-year deal which will keep him at the Club into 2016 and Prudden said he looked forward to continuing his development alongside the Club’s talented list.